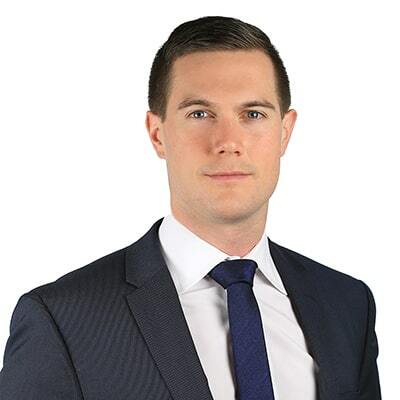 Marcus Hinkley is an associate in Gowling WLG's Toronto office and a member of its Corporate Finance, Mergers and Acquisitions, Private Equity and Blockchain & Smart Contracts groups. Marcus provides advice to Canadian and international clients on domestic and cross-border mergers and acquisitions, Canadian capital markets, foreign investment, corporate reorganizations and general corporate and commercial issues. Marcus has assisted clients in a wide variety of industry sectors with a particular focus on technology (including blockchain and cryptocurrencies), agriculture, mining, energy, pharmaceuticals and retail. In addition to being born, raised and initially trained in England, Marcus was previously a member of the Toronto-based corporate teams for two major international law firms. Since being called to the Ontario Bar in 2014, Marcus' unique international expertise has enabled him to negotiate and coordinate domestic and cross-border deals, providing his clients with pragmatic Canadian advice aligned with a big-picture global perspective. Marcus provides pro-bono legal services and played a key role in assisting the Duke of Edinburgh's International Award in establishing and growing their presence in the greater metropolitan area of New York, and currently assists a local film and music producer with corporate law and contract law services. In addition to his legal career, Marcus played hockey in the British leagues and coached a junior hockey team in Peterborough, England, as well as the Newcastle University 'B' Team in Newcastle, England. Marcus also speaks basic German. Investing in Canada: A summary of the foreign investment regime (January 2018). Boardroom confidence and a higher review threshold for foreign investment boosts Canada's appeal as investment destination of choice in 2017 (May 2017). M&Eh! Canada emerging as the investment destination of choice for 2017 (February 2017). Ontario's Mining Act Enters the 21st Century (February 2016). Presented to EY's Transaction Advisory Services team on share and asset purchase agreements (March 2017). Presented to EY's Transaction Advisory Services team on Canadian foreign investment (January 2017).